Jim's Lazy 'G' also serves as a Public Meeting Hall for the tiny desert community of Aguila, AZ. Aguila, home to just 250 people, is located at Milepost 85 on US Route 60 in Arizona. 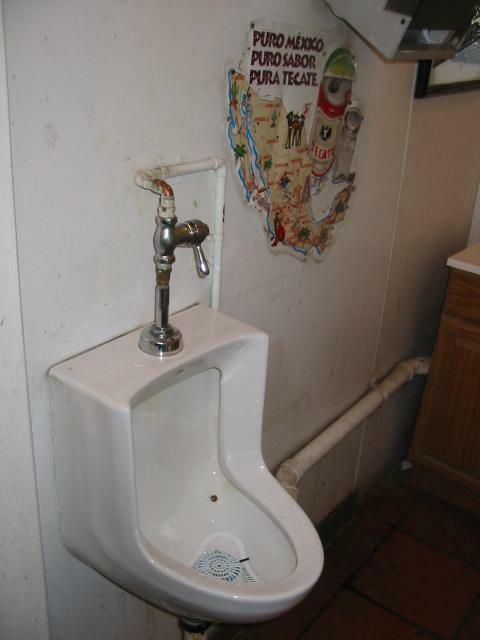 Another one of the three urinals in the entire town is located at Dawufman's House. UPDATE: Jim's Lazy G is now Two Pelicans Pub & Grub.